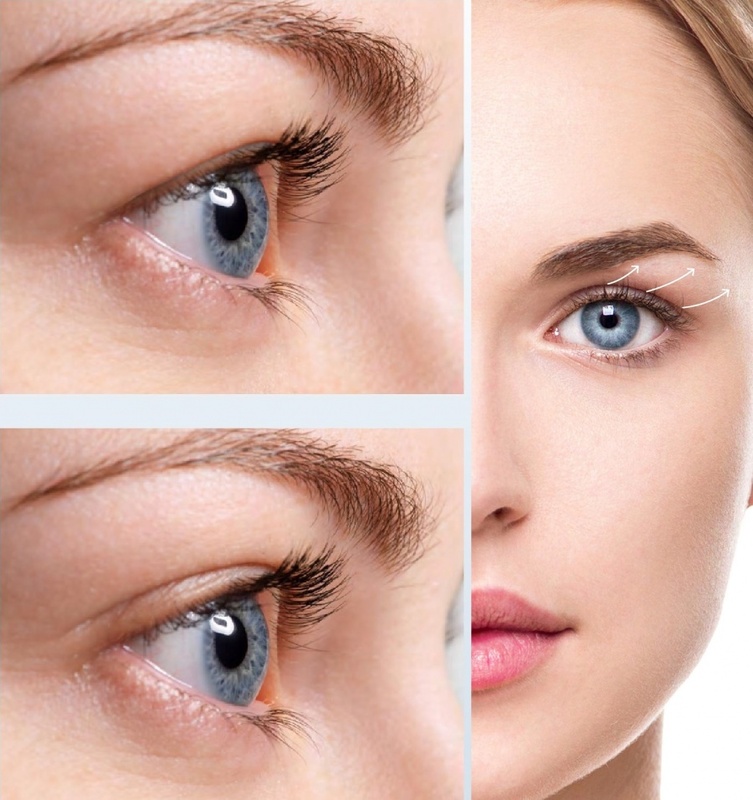 Plasma technology is a non-surgical Eyelid tightening (Blepharoplasty) procedure. Highly effective, remarkable results. During the procedure tiny plasma flash is being discharged from the tip creating micro-millimetre points on the upper eyelid or below the eye. The tip itself never touches the skin. There is no cuts, little or no blood. This innovative technology which uses sublimation process where the skin experiences mild trauma that creates tightness as the cells pull closer together and collagen produces rapidly. The eyelids look tighter with less slack skin. It’s the only treatment to successfully reduce the excess skin. It causes no damage to surrounding areas or deeper skin layers. Further points are applied creating a symmetrical grid around the eyelid or beneath the eye. Effects are noticeable right away. Full results become visible after 2-4 weeks. Patient can resume regular activities right away with minimal discomfort. 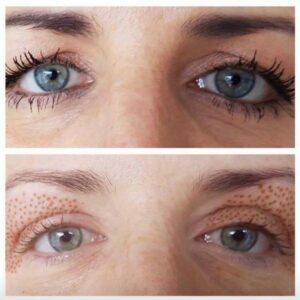 The treatment results in the formation of small, dry spots. The crusts require 5-7 days to fall off and should be covered with makeup. Subsequently slight reddening is visible for 2-3 weeks. No bleeding is to be expected. 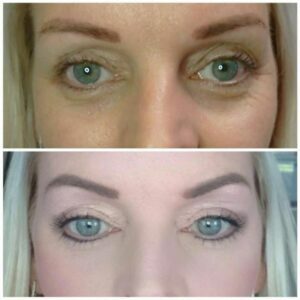 Non surgical Blepharoplasty treatment (eyelid tightening) can cause swelling with different symptoms for 1-3 days. 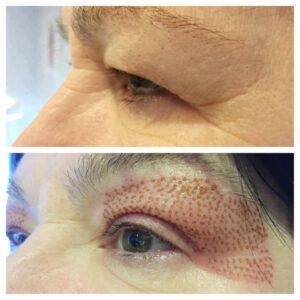 Plasma Fibroblast is virtually painless and doesn’t require general anaesthetic. 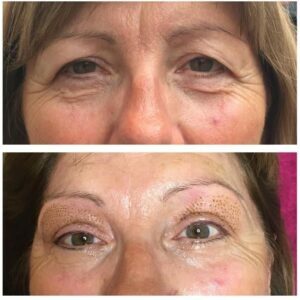 Numbing cream is applied around the eyelid area to minimise discomfort during procedure. This is dependant on your lifestyle, diet and exercise regime. Your body will continue to age however the results from one procedure can last up to 2 years.